Custom laser cutting offers tremendous benefits, which is why this service is in such high demand. However, there are also some limitations. If you need custom laser cutting services, it is essential to understand the basics. That way, you know what a top fabricator can and cannot accomplish on your behalf. 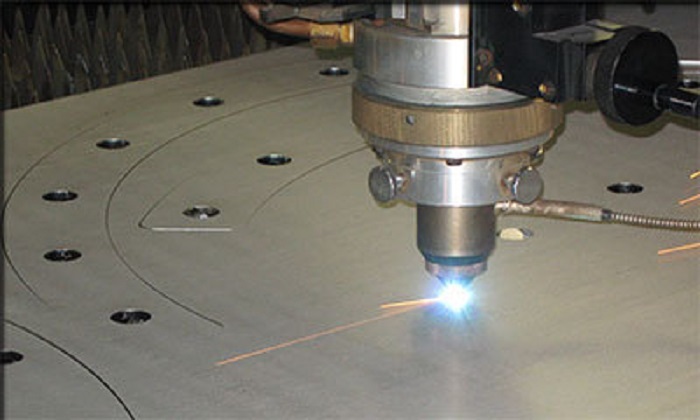 With custom laser cutting services, a fabricator cuts material, including steel & stainless steel and sheet metal, to exact specifications that the customer dictates. Often, these metal parts are used for industrial manufacturing applications. The following are some of the primary efficiencies and limitations to consider. As part of custom laser cutting metal, a fabricator can create small circles such as screw holes, but they will not be perfectly circular. Dents and marks can occur if the laser cuts through, hitting the metal grille and bouncing back to strike the bottom part of the steel or metal material. Thin and sharp pieces might deform due to the heat of the laser or crack when removed from the scrap. Reflective materials, including aluminum, copper, and brass, are often difficult to cut. As you can see, there are both efficiencies and limitations for custom laser cutting metal. The right fabricator can avoid many of the disadvantages mentioned. With experience and expertise, a reputable company knows how to use the equipment correctly, which in turn, ensures a superior finished part or component. If you need help with laser cutting of your stainless steel or sheet metal prototypes or products, there is just one company to turn to Weldflow Metal Products. Along with custom laser cutting, we provide other services like engineering design, prototype and product development, welding, and assembly, in other words, a complete fabrication of your part product. For more information, please visit us online or call to speak with a company representative today. This entry was posted in Laser Cutting and tagged Custom laser cutting. Bookmark the permalink.